Jianjun Hao, DDS, MS, PhD is your Albany Park Orthodontist. Dr Hao is an associate at 3020 Dental, provides orthodontic and cosmetic care to patients of all ages in the Albany Park and Old Irving Park communities. 0% financing is available making braces affordable for every family! 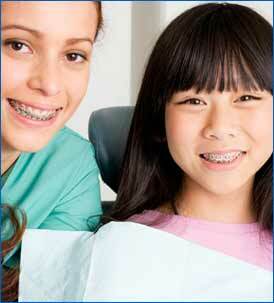 Children should be evaluated for orthodontic treatment by the age of 7 years of age. As the child's "6 year molars" come in, things like crowding and cross bites can be evaluated. With early detection, Dr Hao, your Albany Park Orthodontist can guide the growth of the jaws and the placement of the permanent teeth. Early treatment can simplify the orthodontic process. Orthodontic treatment can be successful for patients at any age. One of every five patients in orthodontic treatment is over 21 years of age. 3020 Dental offers cosmetic braces that include: Invisalign removable braces and clear braces for our appearance conscious adult patients. We use Invisalign for smiles requiring minor orthodontic movement creating great cosmetic results. 3020 Dental Associated is now accepting new patients. Schedule an Appointment today! Website Design: ©2012 Midwest Dental Solutions,LLC All Rights Reserved.